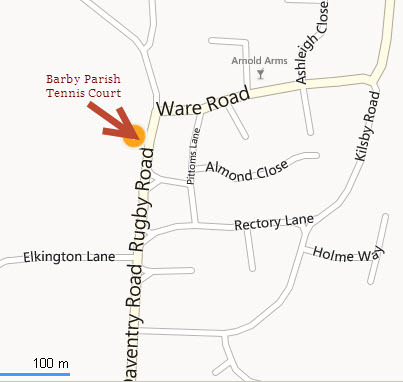 The use of Barby Tennis Court is open to all parishioners, FREE OF CHARGE. The location of the court is shown opposite. On the HOUR only, for one hour at a time through the BOOKING SECRETARY, Mrs E. Thompson, 4, Rectory Close, Telephone 890637, Please return key immediately after use. ONLY keep it for the hour for which you have booked, and return it to 4, Rectory Close.